It’s already more than 20 years that Aviointeriors started, the first in the world, projecting and developing a revolutionary electrical business class. The Company, following the customer’s needs, demonstrates a great ability in creating a highly customizable product so that each airline is sure to fly with its own tailor made seat. The New Adagio business class seat, already surrounded by a great airline interest, has been further developed over the past 12 months. Adagio provides the great advantage to achieve the 8 abreast configuration to B777 and B787 operators with 100% direct aisle access and offering a fully flat bed function. Adagio platform is integrated by Adagio PE, starting from the same concept and design of Adagio by reducing the pitch and adjusting the seat to Z-Bed position Adagio PE is meant to be the game changer into the Premium Economy seat market. 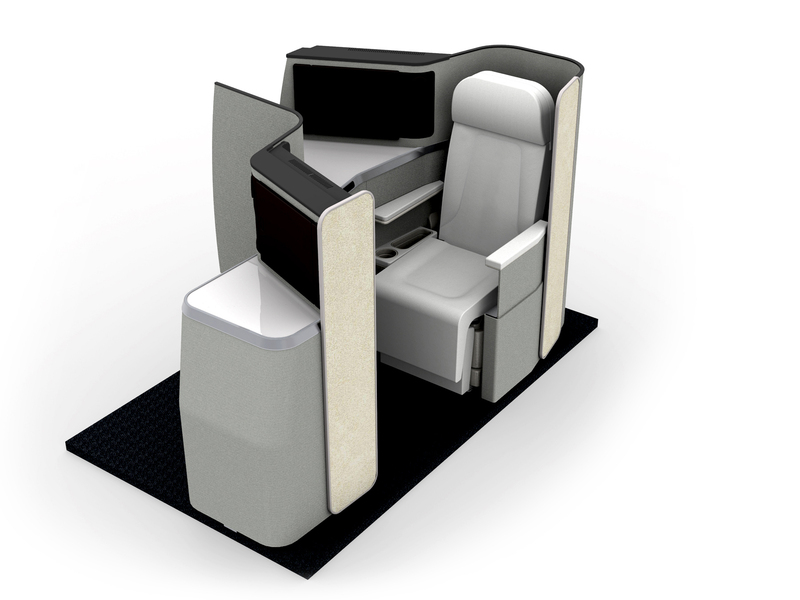 Adagio PE is particularly comfortable while maintaining the maximum level of privacy also in narrow body application, available also in the revolutionary 5 abreast (3-2) staggered layout that open new opportunities to give Airlines more configuration options.